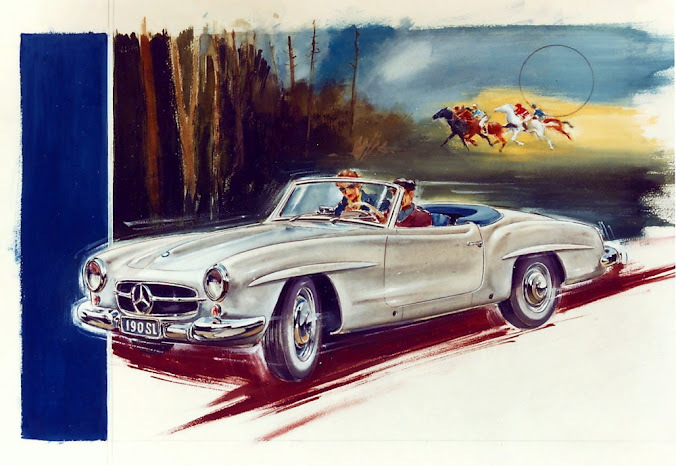 Mercedes-Benz 190 SL (W 121, 1955 to 1963). 1957 advertisement. 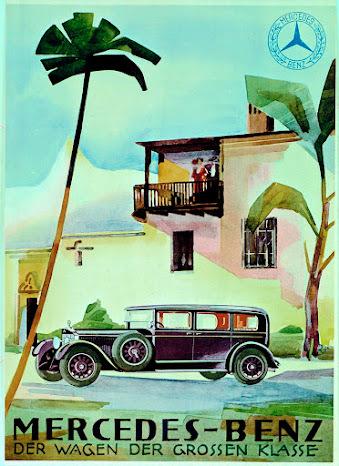 "The car in a class of its own": From the Orient to palm-tree settings – distant lands were a popular advertising motif in 1928. 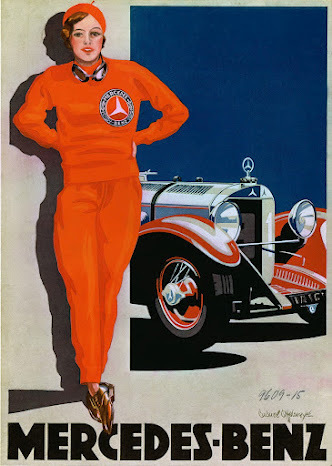 The "Frau in Rot" (1928, Edward Cucuel Offelsmeyer) is one of the most striking advertising motifs of the 1920s. 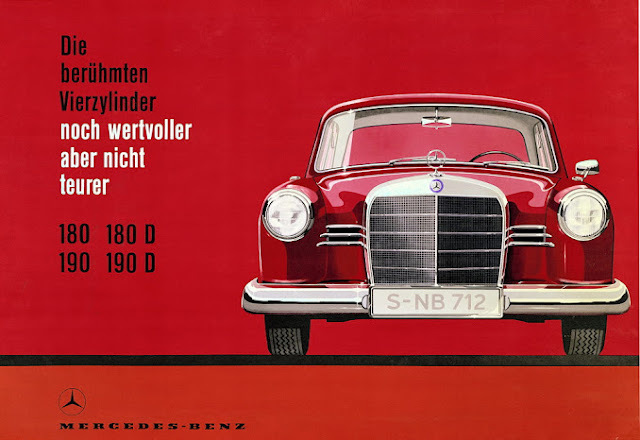 This advertisement in English from 1961 (Atelier Harry Preußner) highlights the new approach adopted at the beginning of the 1960s. 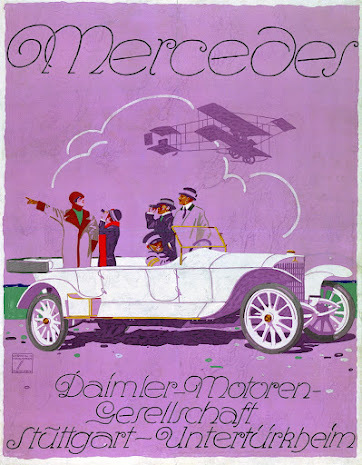 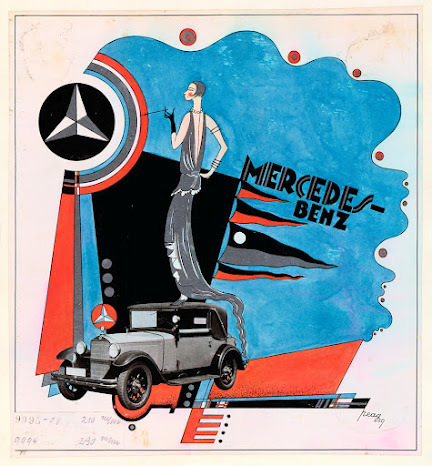 This draft advertisement from 1929 (Peag) takes up elements of constructivism and is absolutely unique in the world of advertising from Mercedes-Benz. 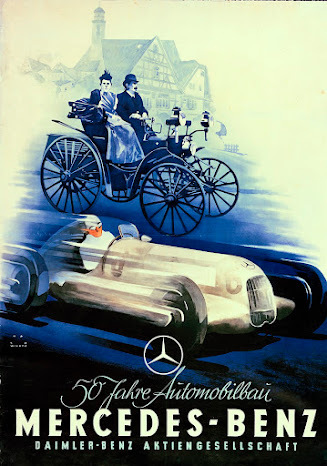 Ludwig Hohlwein, the most famous German poster artist, designed a poster for the 37/90 hp chain-driven car. 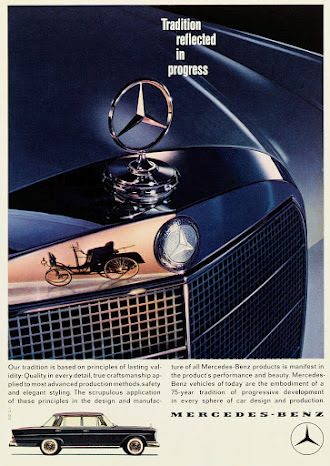 "My Benz!!" 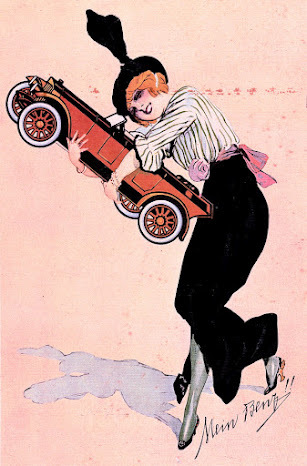 from 1923 is presumed to have been an advertising gift. 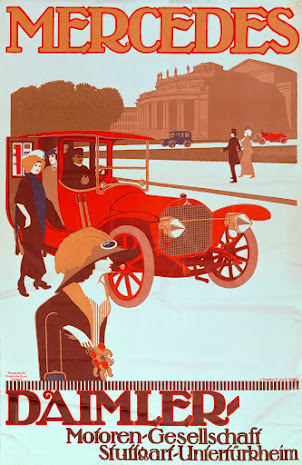 This rare and highly valued poster by an anonymous artist from 1912 reveals marked Art Nouveau influences.